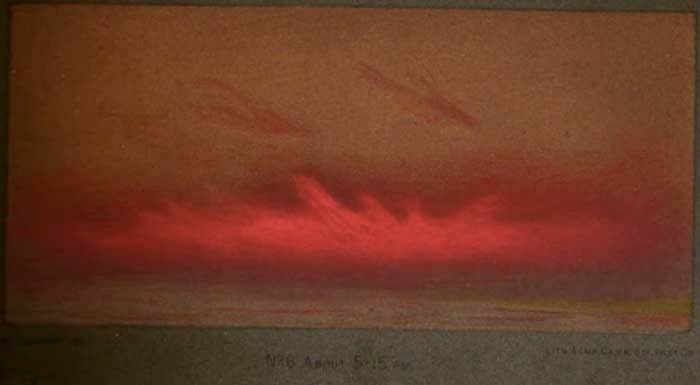 Sketch by William Ascroft of Krakatoa afterglow as seen in London at 5:15p.m. on 26 November 1883, from the frontispiece to the Royal Society Report. This image is in the public domain in the United States because its copyright has expired.